Time for Part Two of my Best of the 400 Project. Well, it is really my favorite of the 400 Project. For those of you that do not know, I watched over 400 movies/television seasons in 2012 (wow, that was so long ago). I am creating a list of the best/favorite 100 movies I saw. Each part will consist of ten movies. They are in no particular order because in my opinion you can't say which film is better than one. I'll tell you what I thought of the films, why they are on here, and the trailers of them. Some of them might surprise you. I hope you decide to go and watch some of these. A guy can hope. Let's get started. I mean who doesn't like Ghostbusters? This is one of the best comedies of all time in my opinion. I've loved both of the films in the series since my childhood. Bill Murray steals the movie in my opinion with his performance. The film broke new ground when it was released in the 1980s. It has some great moments and it is just one creative story. I give props to Dan Aykroyd and Harold Ramis, who not only starred in the film, but also wrote the screenplay as well. They created one of the funniest and interesting comedies of all time. It is definitely a great example of genre-bending. They were able to mix the genres of comedy and science-fiction and create something memorable. If a film can still make you laugh out loud after numerous, and I mean numerous showings of it, then it should definitely make it on to your list of 100 Best Movies. Also, I was able to see this last year on the big screen. If you ever get a chance to do that then you should go. It is a film that I would suggest to anyone. It also has a very catchy theme song. This is probably one of my favorite films of the year. I loved Stephen Chbosky's book The Perks of Being a Wallflower, but he knocks it out of the park here with his directorial debut. Chbosky was able to stay true to his novel, while also providing us with a completely different experience. I actually went into this film with low expectations. I mean I wanted it to be really good, but I thought it would just end up being forgettable. An author directing the film adaptation of his book and the trailer just made it look okay. Oh, how I was wrong. The Perks of Being a Wallflower is our generation's The Breakfast Club. From the 1990s to today, people who went to high school can relate to this movie. One thing I loved about The Perks of Being a Wallflower was that it was set in the early 1990s, but it never felt like a period piece. They never made jokes about the 90s like poking fun at the size of the cell phone and you never really heard what was going on in the world at that time. That's what made it so relatable for today's audience. Chbosky's tells a wonderful story and he assembled a perfect cast. Everyone down the line, Logan Lerman, Emma Watson, Ezra Miller, Mae Whitman, Paul Rudd, etc. They all do a phenomenal job. Ten years from now, this is a film I think people will be calling a classic. If I was voting at the Academy Awards, this film would definitely be on my ballot. And the closing lines of the film are awesome in my opinion! A lot of people talk about The Dark Knight and The Dark Knight Rises, but Batman Begins is a really great film in my opinion. People do not realize how much this film changed the game. This film rebooted a very popular character and that had rarely happened in Hollywood. However, after Batman Begins was so successful among moviegoers and film critics, Hollywood saw something that they could use. Films like Star Trek, Casino Royale, Iron Man, The Avengers, The Amazing Spider-Man, X-Men: First Class, and Rise of the Planet of the Apes would have never been made if it was not for Batman Begins in my opinion. It made the idea of reboots popular. The film also made the superhero genre popular again, while The Dark Knight made it a serious genre. The film also pretty much introduced Christopher Nolan and Christian Bale to the mainstream audience. Now, these two are almost household names. What I love about Batman Begins and Nolan's vision is that it is not about Batman. Nolan's trilogy is about the journey of Bruce Wayne. One of my favorite moments in film in the past decade was when Bruce Wayne enters into the Batcave for the first time and the bats surround him. What also made this film so great was that it introduced the idea of a big-budget superhero film that featured an ensemble cast of big named and/or great actors. I mean Nolan's Batman trilogy has one of the best casts of all time: Christian Bale, Michael Caine, Liam Neeson, Morgan Freeman, Gary Oldman, Heath Ledger, Tom Wilkinson, Cillian Murphy, Aaron Eckhart, Tom Hardy, Anne Hathaway, Joseph Gordon-Levitt, and actually the list just goes on and on. This film made great actors and big-named actors want to be in ensemble superhero films. It also introduced, or re-introduced, great actors to the mainstream. You need to watch Batman Begins if you are planning on seeing The Dark Knight Rises. It will make your viewing of it so much better. Even when looking at this film today, I still see it as an edgy and tough film. However, In the Heat of the Night was released in 1967 and I wonder how edgy it was for that time period. The film is about an African-American police detective (Sidney Poitier), who gets roped into helping with a murder investigation in a rural town in Mississippi during the 1960s. The film is dominated by two great performances from Rod Steiger and Sidney Poitier. Steiger being the older lead white investigator on the case and Poitier being the younger black detective who gets thrown into the case. Norman Jewison, the director, tells a great Southern mystery. I had seen the film before I watched it this time, but the story still keeps me on the edge of my seat. The story is so complex and it always keeps you guessing. The film gives you a glimpse of a what it was like in the South during the 1960s. In the Heat of the Night won a total of five Academy Awards including Best Picture, Best Actor (Steiger), and Best Adapted Screenplay. In my opinion the film deserved every Oscar. However, like most films of that era, it is overlooked by audiences today. One of the greats things about Hollywood today is that they are re-releasing old films or holding one-night showings of them in select theatres. I think this is a wonderful idea. I had the pleasure to see Indiana Jones and the Raiders of the Lost Ark in theatres. It was on a IMAX screen, but it was not your traditional IMAX screens (yes, there are differences for those who did not know that). When you see an old film in theatres it is a completely different experience. I have seen Raiders of the Lost Ark numerous times, but for some reason I was watching it this certain time and I had no idea what was going to happen next. It was like I was watching this film for the very first time. I was sitting there thinking, "Wow, my dad got to see this in theatres when it was originally released. Lucky". This is just another great film from Steven Spielberg and George Lucas. I mean Star Wars made Harrison Ford a star in my opinion, but Indiana Jones made him an icon. The film produced some classic cinema moments like when Indiana Jones is running away from the rolling rock. This is a film, just because of its popularity, that everyone needs to see at least once. I've always loved movies that deal with newspapers or broadcast news. I never really want to be in either industry, but seeing it when it all goes down is pretty cool. Most films take the more serious approach to the stories that deal with the workings of a newspaper like All the President's Men or State of Play. Even though I love both of those films, The Paper is one of my favorite films dealing with the topic of creating a newspaper. When people think of Ron Howard as a director, most think of A Beautiful Mind, Apollo 13, The Da Vinci Code, etc. Very rarely do people talk about The Paper. I thought it took a pretty cool approach by adding a lot of comedy elements to the story. It still deals with a dramatic story, but it tells the story through funny characters. It is a film about a New York newspaper that is covering the story of murder and it all takes place within 24 hours. The film is loaded with great actors like Michael Keaton, Glenn Close, Marisa Tomei, Robert Duvall, and Randy Quaid. Yes, I do think Michael Keaton is a great actor. I think he is one of the most underrated actors and I personally think he should be used a lot more in films today. I mean come on, he was one of the best things about The Other Guys in my opinion. Keaton shows that he is funny, but when it comes to the serious parts of the film he can turn quickly. He is by far the best part of the film. Keaton can also play great serious roles by the way. Just go watch Clean and Sober. There isn't a good trailer of the film, so here is a scene from it. This shows you just how crazy it can be. Are you surprised this is on here? When I made my original list, I listed around 160 movies. I had to cut a lot of them. I had to have good reasons to why I didn't cut them. I vowed not to cut Men in Black 3. When I went to see this film, I did not have high expectations. I mean Men in Black 2 was awful. Let's just admit that. Looking back on it, the first sequel just seemed boring. So, I was happy they were doing a sequel to make up for it, but I didn't think it would be that good. I was wrong. Now, some might not have liked this movie, but I loved it. I never thought that they can improve the relationship of Agent J and K. They told a great story. They used the time-travel gimmick in a great way. The film was funny and fresh. We got to see the return of Will Smith on the big screen and he doesn't miss a beat. The best performance, however, comes from Josh Brolin who portrays a younger Agent K (Tommy Lee Jones). A lot of people I know kept saying that Tommy Lee Jones is doing the voice for Brolin. No, that did not happen. Brolin is just that good in the role. Brolin and Smith are somehow able to duplicate the chemistry that Smith and Jones had in the original film, which is difficult to do. I cannot say it is better than the original because I feel that would downgrade just how good and important the original film was. However, Men in Black 3 is not far behind. If you are a fan of the original then you should see it. Let's just try to pretend Men in Black 2 did not happen. The Hunchback of Notre Dame might be one of the most underrated Disney films of all time. I love this film. I think the film contains some of the most beautiful animation from the Disney Renaissance (Disney animation films from late 1980s to late 1990s). I know the film is different compared to Victor Hugo's original story, but I think it is a great story regardless. The film is a much darker film compared to other Disney films. That might be why at my age now I was finally able to realize how good it was. They are some great songs within the film. The best two songs of the film are "The Bells of Notre Dame" and "God Help the Outcasts". I finally saw how great "God Help the Outcasts" is. It might be one of the most touching moments in the film. Yes, I did just say that. "The Bells of Notre Dame", though, is probably the best song in the film. The climax of the film is also one of the best endings in animated films. If you love Disney films then this is one you need to either watch or re-watch. I'm a white guy who likes Tupac and Hip/Hop and Rap music. Who knew? I've always respected Tupac because I do think he was a genius of Rap music. 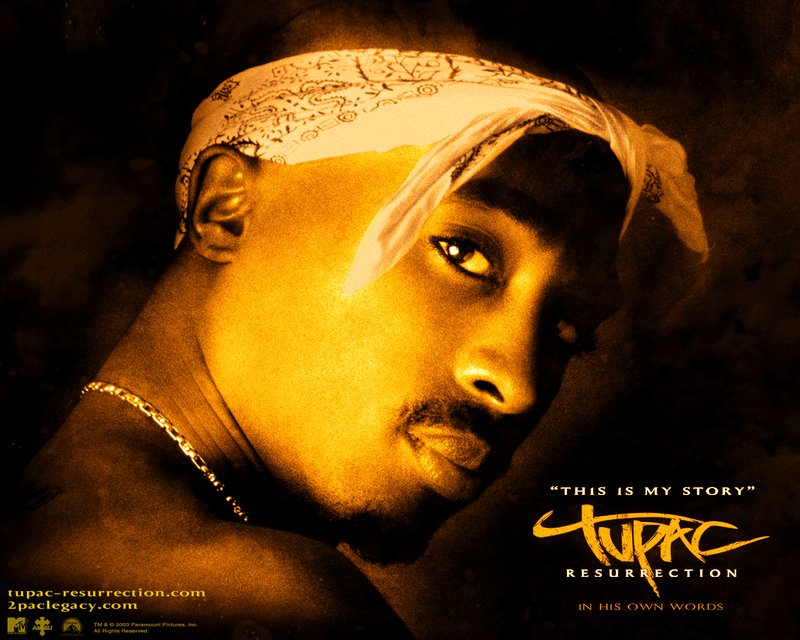 Tupac: Resurrection shows us a new side of Tupac. What is so interesting to me about this documentary was that it was made after Tupac died, but Tupac is the one that narrates it. They compiled almost all of the interviews and videos they had of Tupac. No one else narrates the film. Tupac tells his own story. And, at certain times it is almost chilling. We get to hear his story in his own words. We get to see his views on life, his admiration for the works of people like Shakespeare, where he came from, and we see where he went. I think this is a great documentary. If you love Tupac, Rap music, or documentaries then this is something you should watch. Just take a look at the trailer and maybe you can get an idea of it. A League of Their Own is a movie that I will always love. I love the story, I love the performances, and I love the director. The performance that is the best is of course the one given by Tom Hanks. I don't care what people say, Tom Hanks is one of the best actors out there in my opinion. He is at least one of the most popular. Just look at the most recent Most Popular Movies poll we did because Hanks has four movies in the top 57. And, Hanks has the best lines in the film. I don't mean some of the best lines. I mean he has the best lines. All of you say it with me, "There's no crying in baseball!". Okay, that's done. Penny Marshall, the director, tells a great story here. A story that not many people probably knew was true until the film was made. This was one of the many films I grew up with and I happy to see it getting the recognition it deserves today in the industry. It was just put into the National Film Registry this past December, which means it was deemed "culturally, historically, or aesthetically" significant by the U.S. Library of Congress. I think this is a must-see film for most people. One of Tom Hanks' funniest and most complexed characters in my opinion. Part three will hopefully be coming soon. Which of these films have you seen? What do you think of them? Tell me what you think.